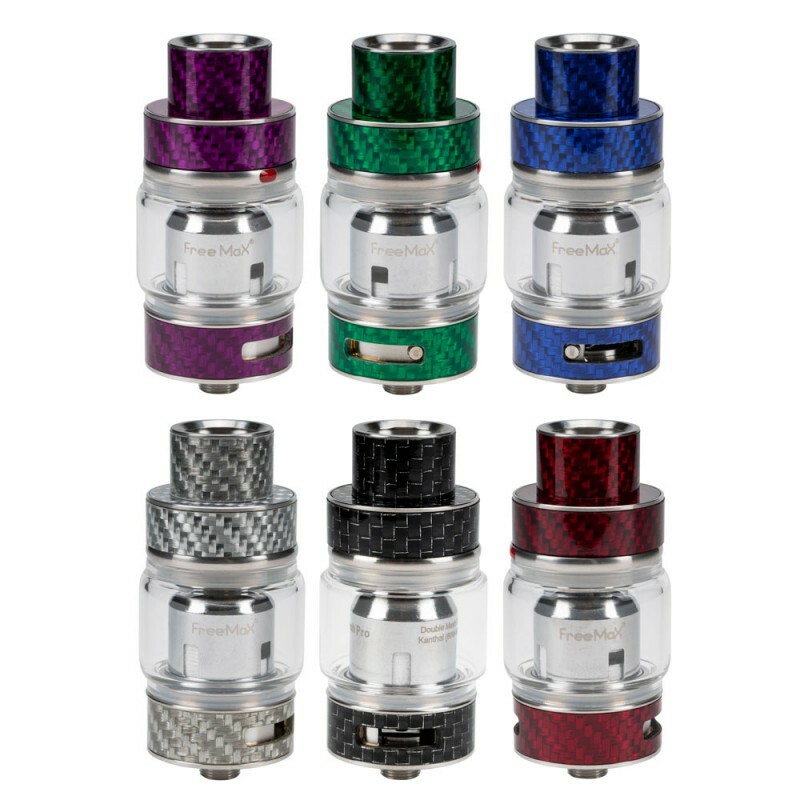 The Sigelei REVOLVR Sub-Ohm Tank is one of the most innovative tank platform in its segment, delivering a robust atomizer chamber that can be utilized with three or four independent coils for a performance unlike any other. The most ambitious sub-ohm tank platform created by Sigelei to follow the SLYDR-L, the REVOLVR measures 24mm in diameter with a beautifully constructed outer chassis with knurled top cap and airflow ring for high-quality construction. The e-juice maximum reservoir can hold up to 4mL enclosed by high borosilicate glass and food-grade silicone with a convenient threaded top-fill method to minimize leakage. The REVOLVR integrates a propriety coil system that houses three independent coils along with a four coils option, allowing for unprecedented performance adjustment with a drop-in design into the cartridge while delivering top-of-the-line vapor production and flavor recreation. When all of the coil slots are installed with the 0.6 ohm coils, the resistance comes in total to 0.22 ohms. Meanwhile, when the 0.9 ohm coils are being used, the resistance level increases to 0.32 ohms. Innovative and truly pushing the envelope of design to new heights, the Sigelei REVOLVR Sub-Ohm Tank is a must-have collection in the Sub-Ohm Tank segment.